Lift chairs, also known as recliner chairs, utilize a powered lifting mechanism that pushes the chair from its base. 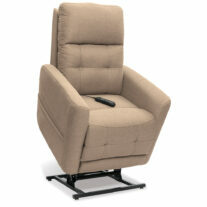 Recliners assist elderly or disabled patients more easily to a standing position. 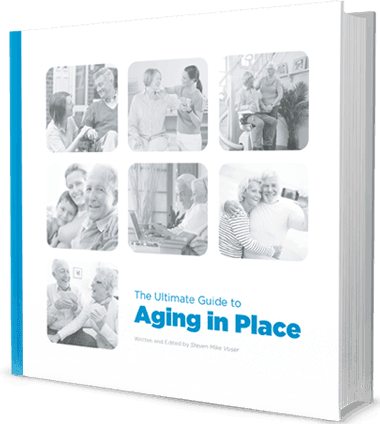 Lift chairs are advantageous due to their comfort and promotion of mobility independence. At Macdonald’s Home Health Care, we provide a superior range of patient lifts for Vancouver households. Our lifts are available in various models and designs, each structured to meet your needs. For people suffering from mobility issues, standing up from a sitting position is a difficult task. Our patient lifts are affordable and beneficial additions to homes with elderly and disabled residents. Macdonald’s lift chair series come with comfortable seats and patented technologies that provide back relief. We also offer lift chairs with attached swivelling tables that allow easy access and departures. Patients no longer have to leave the comforts of their chair often due to the chair’s multipurpose capabilities. It can be used for numerous activities such as eating, writing and working. Our range of Vancouver patient lifts is available in different sizes. 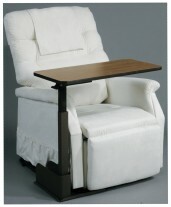 Pride Viva Lift Chairs has five sizes available for patients. Browse through our selection of lift chairs and take your pick. 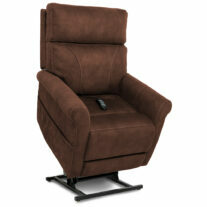 Experience the comfort and support of Pride’s lift chairs. 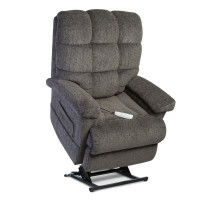 The Infinity 525iM lift recliner features integrated battery backup and a standard lumbar pillow. 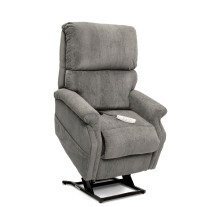 Experience contoured memory foam seating with the LC-580iM infinite-position lift chair. 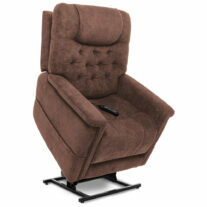 Our biscuit-back design lift chairs provide body-conforming comfort. 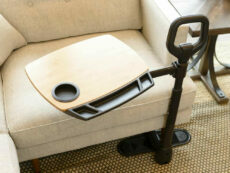 Lift chair tables swivel for easy access and departure to your favourite chair. 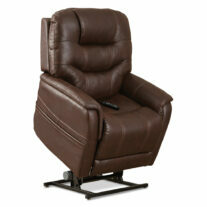 Designed for use with a lift chair, standard recliner or couch; left side or right.